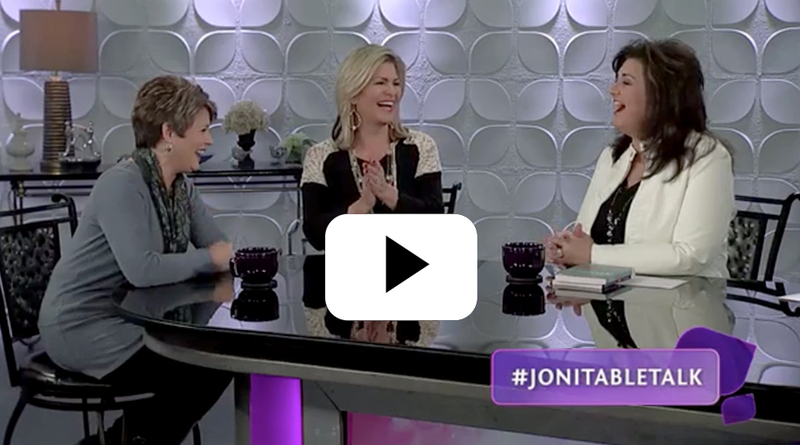 Jennifer Rothschild discusses her book, “Invisible: How You Feel Is Not Who You Are,” with Joni Lamb of “Joni Table Talk” on Daystar. What do you get when a blind woman has a bad hair day and her only remedy is found in free samples of eyeliner and lipliner? Here’s the back story: Years ago, my mom taught me a way to put on my own make-up. You know, when you can’t see your face, it’s a bit challenging (not to mention scary and dangerous) to apply make-up! But, the system she taught me when I was 15 is the same system I use today… at age 50! Lipliner + Eyeliner + Blindness = what? Watch this funny video to find out! The system works flawlessly most of the time. It is so reliable, but unfortunately, I am not! I got things a little mixed up one day and the result was not so pretty! Wanna hear about it? Hopefully, my little incident will make you feel a whole lot better about yourself! You can find the rest of the story in my book Lessons I Learned in the Dark. Click here to find your copy! Question: Have you ever had an embarrassing makeup moment? Jennifer and her story profiled on Good Morning America with Robin Roberts April 22, 2008. Jennifer at Women of Faith Las Vegas shares funny story of applying her makeup.